A palatable symphony of protein-packed lentils, savory rice, nutrient-rich vegetables and a dash of Himalayan salt — with just a sprig of parsley presented on a crisp white plate, the dish could easily be mistaken for a meal at a fine-dining restaurant. Feeding Children Everywhere devised this Red Lentil Jambalaya recipe that doesn’t just cater to taste buds; it fights world hunger and seeks to put an end to it. 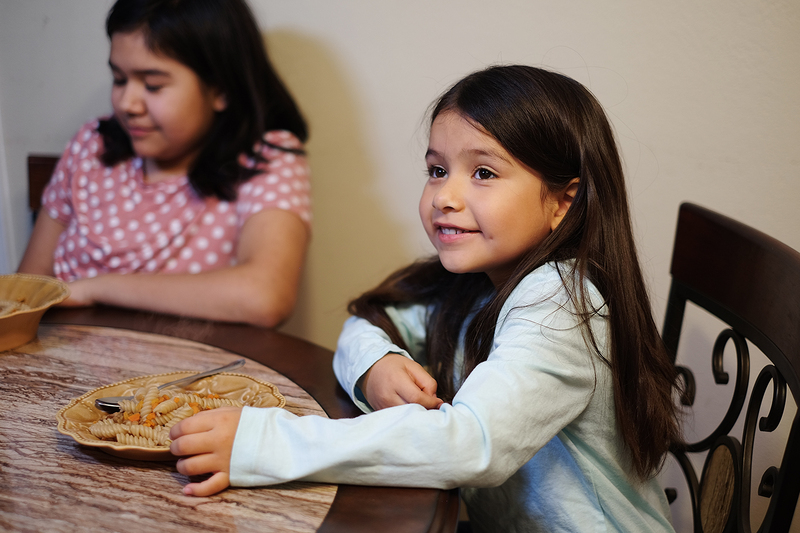 Established in 2010, Feeding Children Everywhere has since evolved into a robust mosaic of philanthropic endeavors that includes Fed40, FedConnect and the U.S. Hunger Project. 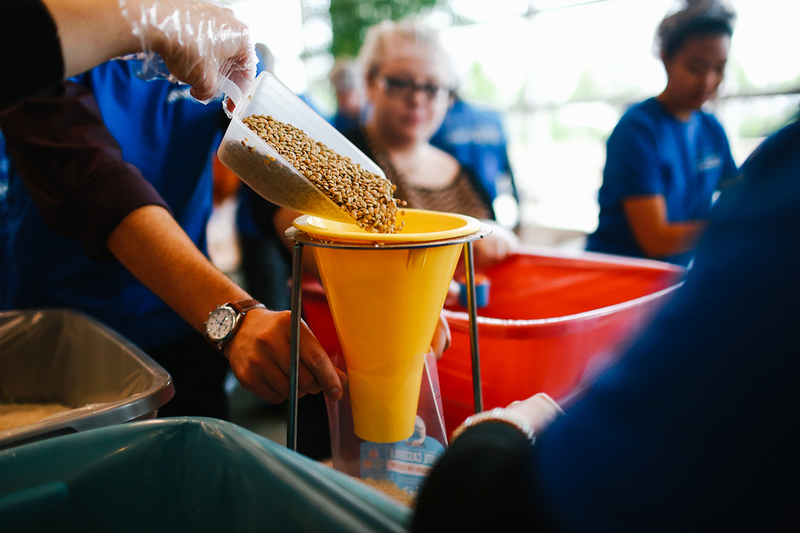 Since it was founded, FCE has distributed over 100 million meals all over the world. Forty-two million Americans live below the poverty level. Nearly 450,000 of those individuals are homeless. That leaves roughly 41.5 million Americans who are working, disabled or underemployed — and struggling. A mission that started abroad was quickly brought back home in 2012 with the launch of the U.S. Hunger Project. The new program was established in response to a 60 Minutes story that showcased hunger in Central Florida. 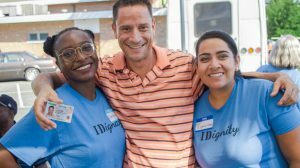 Since then, nearly 70 percent of the meals the organization produces have stayed in the U.S.
A Hunger Project enables people to package healthy meals for hungry people in a collaborative group setting. 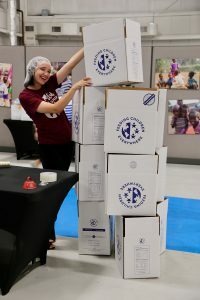 Hunger Projects are often hosted by corporate partners, religious institutions, schools, or the FCE itself at the organization’s headquarters in Longwood. With music blasting, boxes stacking and a sea of happy faces, volunteers work together to package meals for children and families. Uniting technology with charity, Feeding Children Everywhere recently developed a doorstep delivery food assistance program. 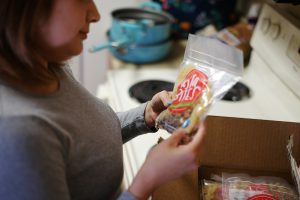 Aptly deemed the “food pantry of the future,” families the organization calls “food insecure” can request that healthy meals be delivered right to their doorstep, at no cost to them. The Fed40 program extends a helping hand during times of need for people in all kinds of situations that cause them to end up unable to afford food. These include single parents who won’t sacrifice quality of education or living and would rather suffer for the sake of their children’s well-being; individuals who work multiple jobs, yet still struggle financially and don’t have the time to go to a food pantry; and formerly dual-income homes that can no longer make ends meet because one partner has lost a job. Just like other popular meal kit services, Fed40 enables those in need to log onto the website or mobile app, request food and receive it on their doorstep the very next day. The FCE team considered the impact that receiving food assistance can have on a family. In a thoughtful display of compassion, the team decided not to label any of its products. The user receives one nondescript box per month that contains 40 servings. The food includes Red Lentil Jambalaya, Veggie Pasta Bites, Apple Crisp Breakfast Bites and other products. FCE sources all of the ingredients from local farms or companies within the United States. A comprehensive extension of Fed40, FedConnect puts interested recipients in contact with relevant training programs or certification courses. Through FedConnect, users enroll in job skills programs, computer skills training, English-as-a-second-language courses, and other services that address the root causes of poverty. “What we’ve realized is the way we can best serve these people is to try to help them out of the situation they’re in,” Green said, “to bring them to a level of self-sufficiency with job skills and additional training services.” FCE has even developed its own entrepreneurship incubator and certification course to propel people toward financial independence. 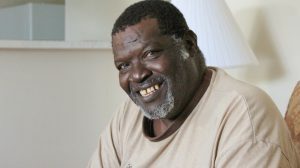 Green fondly remembers one of his students who had fallen on hard times when a natural disaster destroyed her home, leaving her homeless. She was not making enough money to invest in repairs, so she stayed with friends and family members until she learned of FCE’s FedConnect small business courses. She enrolled in the program, and after graduation she revived her business with passion. She was eventually able to invest in the necessary repairs and return to her home. A beacon of success and triumph, this former student now is a facilitator for the class that teaches others how to start and grow small businesses, Green said — an accomplishment that makes him proud of the organization. In response to the devastation brought about by the 2010 earthquake in Haiti, Don and Kristen Campbell gathered food and supplies to send to survivors. They developed a non-perishable, nutrient-packed recipe that was filling and low-cost to create. It consisted of four ingredients: red lentils, rice, dehydrated vegetables and Himalayan salt. This simple recipe would eventually become part of FCE history. At the end of 2011, Green met the Campbells. They had just started FCE and were recruiting passionate, like-minded people to help it grow. “Before I was involved with Feeding Children Everywhere, I had gotten to this point where I wasn’t feeling happy about my life,” Green said. “Things were fine on the surface, but I felt like there was more to life than what I was experiencing. Green immediately knew when he met the Campbells and learned of Feeding Children Everywhere that he needed to be involved. Since 2010, Feeding Children Everywhere has positively affected millions of lives. 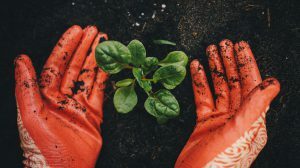 In 2017, the organization took a pledge of sustainability to ensure a positive long-term environmental impact. FCE committed to a goal of 50 percent reduction of long-haul shipping and 50 percent reduction in miles and air travel. The organization also switched its meal packaging to biodegradable bags. Not surprisingly, Feeding Children Everywhere has a comprehensive approach to philanthropy. Green believes that with enough passion and drive, anyone has the power to make a difference. What an incredible and expansive organization! Great feature of an incredibly impactful effort.